How about a Slow Cooker Veggie Omelette for breakfast, lunch, or dinner? This tasty slow cooker omelet is low-carb, gluten-free, and South Beach Diet friendly, and using the slow cooker will keep your kitchen cool. This Slow Cooker Veggie Omelette is a slow cooker breakfast idea from my friend Katerina at Diethood that’s perfect for a holiday like Christmas, where you want breakfast to cook while you’re busy doing something else. But I have overnight guests often during the summer too, and I love the idea of a slow cooker omelette that cooks in two hours while I’m talking with my guests, and using the slow cooker won’t heat up the house. As you can see from the photo, Katerina made this in a large oval slow cooker, but it will also be perfect to make using the Crock-Pot Casserole Crock Slow Cooker. The casserole crock has slightly more surface area, so I’d add a few more eggs if you’re using it. 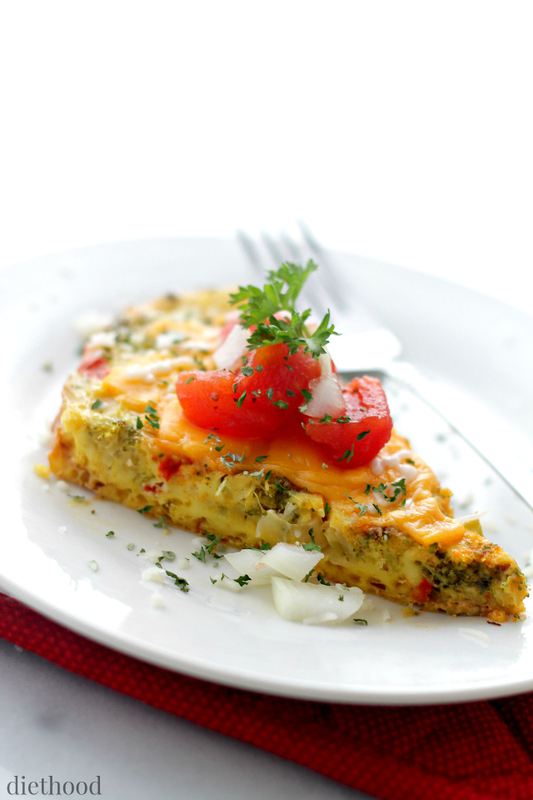 Get complete instructions for Slow Cooker Veggie Omelette from Diethood. Visit the Recipes-by-Photo Index Page for Casserole Recipes to see all the Slow Cooker Casserole Recipes that have been featured on this site. This would be a perfect summer brunch dish, or even something to take on a picnic! Lydia, I agree; sounds great to me.